Start stretching! The 14th Annual Race to Wrigley 5K charity run presented by ATI Physical Therapy returns Saturday, April 27. Runners will race through the Lakeview neighborhood and the Friendly Confines, before crossing the finish line steps away from the Wrigley Field Marquee. Participants will receive a special edition finisher’s medal, an exclusive Race to Wrigley performance shirt, a Cubs drawstring bag and more! Proceeds from this year’s race will benefit Cubs Charities' Diamond Project, which aims to expand baseball and softball opportunities for all Chicago children and youth by engaging kids with skilled coaches, delivering quality programming and providing safe and accessible places to play the game. For more information or to sign up to run, visit www.racetowrigley.com. A 24 mile flat race hosted by Pi Sigma Epsilon at UW Whitewater, to help the American Cancer Society. Workout to help others get well! 6-hour adventure race, great for beginners or experienced racers. 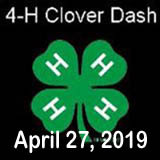 Come run or walk with us to raise funds for Anoka County 4-H! Funds will support healthy living programs, community service projects and scholarships for youth. 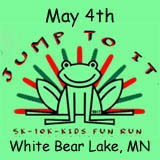 This event is for everyone, runners, walkers, etc. Invite family, friends and co-workers for a fun-filled morning to help support 4-H youth programming in Anoka County. Medals and/or prizes awarded to top finishers. Random prize drawings for all participants except those 10 & under who will receive medals & goodie bags. Register by March 27 for lowest registration fee. Registrations must be received by April 12 to guarantee a t-shirt. 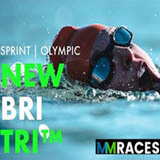 Packet pick up on April 25, 8 am-4:30 pm, April 26, 8 am-7 pm, or on race day starting at 8 am. Register 4 participants and get the 5th one of equal or lesser value free (available with mail or drop off only). 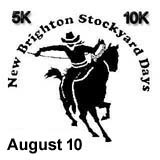 Race day registration from 7:30-8:30 am onsite (cash or checks only). RUN CRANDIC, powered by the University of Iowa Community Credit Union, is a unique athletic and social event that brings the Corridor together. CRANDIC = Cedar Rapids and Iowa City, was first ran in 2018 and follows the CRANDIC train line along Highway 965. A pre-race party will take place Saturday, April 27 at Big Grove Brewery and Taproom in Iowa City, IA and a post-race celebration will take place Sunday, April 28 in the Czech Village/New Bohemia District in Cedar Rapids, IA. 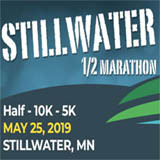 Join us in a fun 5K run/walk along the Mississippi River and across the iconic Stone Arch Bridge. Bring your friends, family, and fellow workweek warriors for a great kick-off to the summer running/walking season! 35th Annual. This is a great early season run, Flat and fast along the shore of White Bear Lake. The Black River Falls School Forest is located within the School District of Black River Falls and is surrounded by Jackson County forest land. It is only a short 10 minute drive from each school in the district. The school forest consists of 40 acres and is located in the Town of Brockway. You can reach the school forest by traveling south out of Black River Falls on Hwy 12 and then turning left on to Castle Mound Road. The School Forest is approximately one mile up the road on the left hand side. Over 800 students visit the school forest annually. The money raised at this run will help support the materials and transportation needed for our school forest trips. Thank you for your participation! CAMBA Women’s Mountain Bike Weekend Clinic at Mt. Ashwabay. Black River Memorial Hospital has scheduled the sixth annual Pace and Pedal event at Wazee Lake Recreation Area. The date for this year’s event is Saturday, May 18, 2019, and the day features three separate events. The chip-timed duathlon begins at 8:00 a.m. and includes a 6-mile trail run and a 10.3-mile bike ride. Participants can enter individually or register as a team. The cost is $20 per person or $30 for a two-person team. All duathlon participants will receive a participation medal. The second event, beginning at 8:30 a.m. is the 5k Wazee Color Fun Run/Walk. 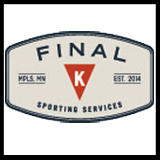 This is a non-competitive fun event for all levels. The 5k course is fully paved and accessible for all individuals. Color zones are spread throughout the course, where participants have the option of running through colored powder. The cost for this event is $10 per person and there is no charge for youth 12 and under. The 1-mile Youth Color Race will begin at 10:00 a.m. This event is also free for youth 12 and under and registrants will receive a Jackson in Action participation medal. 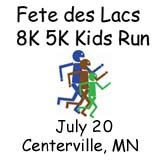 Like the 5k event, the youth race will offer optional color stations. For each of the events, performance t-shirts or white cotton shirts are available for purchase. To be guaranteed a shirt, orders must be received by May 5. Families are welcome to bring strollers but no pets, please. Jackson in Action is a community coalition promoting healthy lifestyles for children, their families, and the greater Jackson County area. All proceeds from the event will go toward Jackson in Action programs and services. 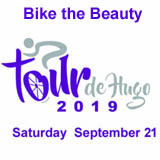 For more details on the event, or to register, please visit www.brmh.net/paceandpedal. Run Paved trails within this gorgeous park. Ride the rolling hills of the Lake Elmo horse country. A beautiful ride and run course followed by a barbecue. Great first timers course.